WILLS POINT, TX (ANS — Nov. 24, 2015) — For Christians looking to find a better way to spend their holiday dollars than on numerous gifts from dozens of stores, Gospel for Asia’s (www.gfa.org) (GFA) “Forgotten Christmas” campaign offers them a chance to demonstrate the compassion of Christ to people half a world away. “The video serves as a simple reminder of the joy that this season is all about — and how we can be part of sharing that joy around the world,” said Yohannan. “Forgotten Christmas” (www.gfa.org/info/FC) was established in 2010 to help Christians rediscover the true meaning of Christmas and take part in giving to others in need. 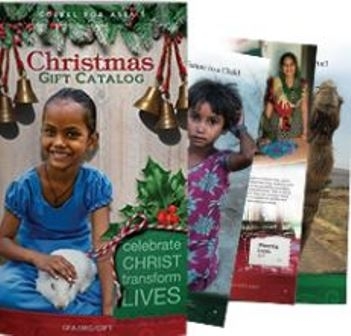 Since that time, its videos and catalogs have been used by hundreds of churches to challenge Christians to give to “the least of these” in South Asia. Photo caption: A scene from Gospel for Asia’s “Forgotten Christmas” video (gfa.org/fc2015), which can be shown by churches and small groups, helps Christians refocus on the real meaning of Christmas and give out of their abundance to those in need.